Ontario College Training Minister Brad Duguid has intervened to temporarily prevent more barbers in Ontario from being ticketed by OCT inspectors for not having a hairstyling license. You probably didn’t even know they existed, but the province’s so-called “hair police” have been temporarily called off while Ontario consults with the barber industry. At issue is whether or not barbers want to be licensed as hairstylists or as barbers. Ontario College Training Minister Brad Duguid announced that his office will confer with the province’s barbers after inspectors with the Ontario College of Trade (OCT) raised some (presumably well-kept) eyebrows by handing out tickets and demanding additional training of local barbers who don’t already have training or a license in hairstyling. 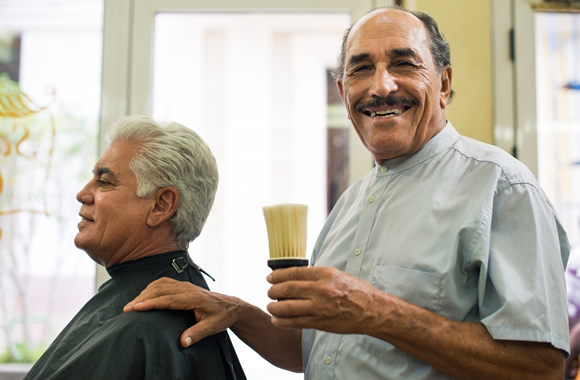 The OCT began enforcing the rules recently, despite the fact that the province had given barbers a two-year reprieve from college membership until 2015. Duguid has requested that the Ontario College of Trades and its inspectors will stop enforcement until the consultations are complete. Sean Reid, from the Stop the Trades Tax campaign, says it’s ridiculous to force barbers to learn to dye and perm women’s hair when many have exclusively cut men’s hair for years.